Daisies – Are Daisies Safe for Guinea Pigs to Eat? 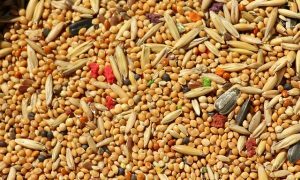 Can Guinea Pigs Eat Vetch? 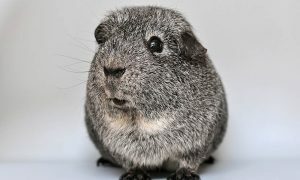 Hibiscus – Are Hibiscus Flowers OK For Guinea Pigs? Violets – Are Violets Safe For Guinea Pigs? Lilac – Lilacs for Guinea Pigs? Are They Safe? Ivy – Are Ivy Plants Toxic to Guinea Pigs? Roses – Can Guinea Pigs Eat Rose Petals? Eucalyptus – Can Guinea Pigs Eat Eucalyptus Leaves? Do you have daisies growing on your lawn and wondering if it’s safe to let your guinea pigs browse on them? First of all: make sure what’s growing is indeed the daisy. Lookalike plants can appear similar but can often be completely unrelated. Daisy is a very general name that people often give to any daisy-like flower and can actually refer to plants in 4 different plant families! The most common type of recognized real daisies though are in the Asteraceae family of plants. This is officially the sunflower or aster family. 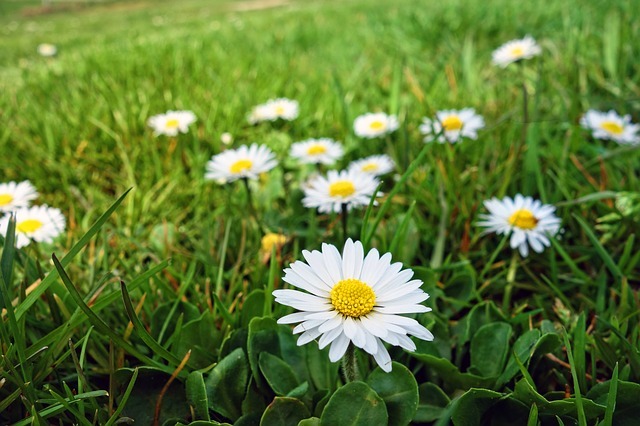 Perhaps the most common daisy is the aptly named Common Daisy (Bellis perennis). Also sometimes called the Lawn Daisy. This species is acknowledged as being the species that’s referred to by the general term “daisy”. This is likely to be the one that pops up in your garden unannounced. 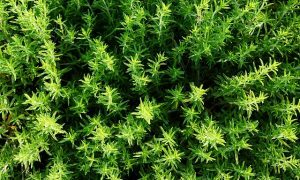 It grows low along the ground and as with most self-establishing species, doesn’t require any maintenance. This daisy has white petals and a yellow center. 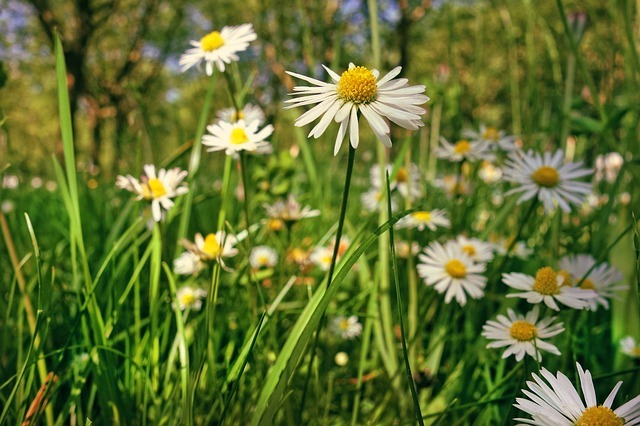 Can a guinea pig safely graze and browse on your ground where these daisies are growing? Opinions are still very mixed on this subject. Without definitive knowledge or evidence, nobody can say for sure whether daisies are safely edible for guinea pigs. I’ve read about people saying their guinea pigs consume them regularly, while others say they won’t let their guinea pigs near any daisy. Although the common daisy is edible by humans, information on its effect on guinea pigs is not available. Due to the number of daisy species out there – the confusion and uncertainty is heightened. 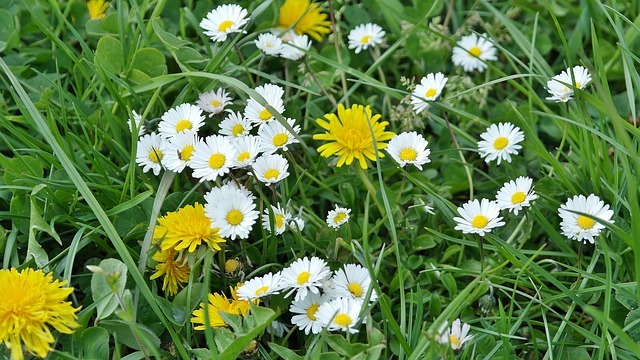 So while daisies aren’t thought to be harmful in small amounts to guinea pigs, most people seem to be comfortable with letting their guinea pigs loose on a large patch of lawn where daisies are growing. This is a plant in the family of plants known as Fabaceae, or more commonly called the legume family. There are many plants in this family that have toxic properties, or can be potentially poisonous to some or all animals, so it’s important to look at each plant individually to find out if it’s indeed going to be something that could potentially be harmful to guinea pigs. Vetch is often grown in pastures for livestock to eat, as it has a high value to both grazing animals and the soil health. While vetch is considered safe for guinea pigs to graze on, unless you have your own safe “pasture” or patch where vetch is growing naturally without any exposure to chemicals, it’s not something that should be picked from a pasture – considering that most farms do or have at some point almost certainly had chemical exposure from spraying or weed control herbicides. Additionally, any pasture is likely to have animal droppings on the ground, presenting another health risk to guinea pigs. In short: vetch is safe for guinea pigs but only if you’re growing it yourself or have an absolutely clean, safe source of it! Who doesn’t love hibiscus? 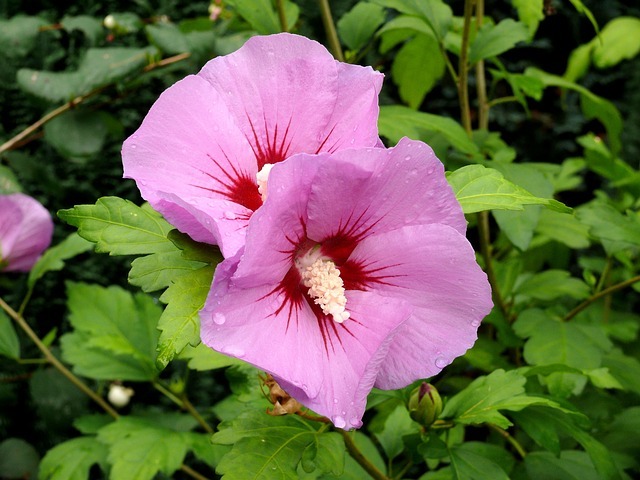 The beauty of the flowers of hibiscus plants are universally admired, hence why so many have them growing in a garden. Hibiscus is a flower or plant most of us are familiar with. But did you know there are actually several hundred hibiscus species in existence? What does this mean for guinea pig and the potential risks of providing hibiscus flowers or other plant parts? Simply that no one really knows whether one hibiscus species or type is going to have potential risks, while others may not. Although most of the time, plants in the same family have similar properties, the uncertainty still presents a risk that no doubt caring and concerned guinea pig owners are unlikely to want to take: and for good reason. If we aren’t certain about something, it’s best not to provide it. Better to be safe than sorry, as it goes. You will find, if you look at the ingredients list of some commercial products like Botanical Hay from Oxbow, that hibiscus is sometimes included. The current version of Botanical Hay does not list hibiscus as an ingredient, but it has been used in the past. If it is used in any such products, the company would have (we would presume and hope) done their research to determine a safe hibiscus variety. So unless you happen to be a botanist, that’s likely the only safe way to provide hibiscus, rather than giving any part of the plant in a fresh state and taking an unnecessary risk. Violet leaves and flowers are safe for guinea pigs. 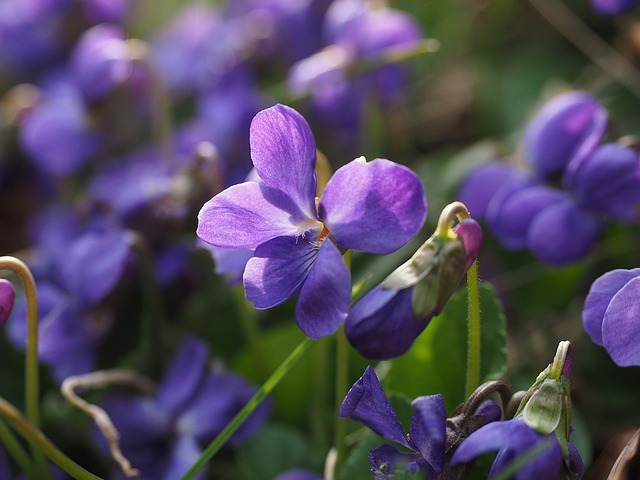 They are known to contain some Vitamin C. But make sure you know what you’re looking at when it comes to violet plants – only plants in the Viola genus are true violets. Other plants with violet in their common name aren’t necessarily in this genus. One well known example of this is the African Violet which is in a totally different plant genus called Saintpaulias and should not be given to guinea pigs. So making sure your violet ID skills are up to scratch before considering letting guinea pigs near the plants is really important. Do you have lilacs growing and wondering if it’s safe for your guinea pigs to have access to them? Lilac is the common name for plants in the genus Syringa. There are 12 species of lilac and all are known for their beautiful flowers and strong fragrance. For these reasons they are popular garden plants around the world. There are also a lot of hybrids and cultivars sold in garden nurseries – but it’s not necessary to know the exact name of a lilac plant, as long as we know it’s a lilac! Probably the most common species of lilac is Syringa vulgaris – simply known as the Common Lilac. Lilacs are not known to be toxic to guinea pigs or other animals. But it’s unlikely these are a plant that a guinea pig would want to nibble on. Regardless, it’s always wise to know the potential risk of ANY plant that you might have growing just in case of accidental ingestion. What is an ivy plant? If you think you have some type of ivy growing and are concerned whether it’s going to pose a risk to your guinea pigs, then you’ll first need to be sure of what plant it actually is! Ivy is a word used for several different plants. Some of the main ones you’ve probably heard of are English Ivy and Poison Ivy. These are both common names – it’s the scientific names that tell you exactly what plant you’re looking at. 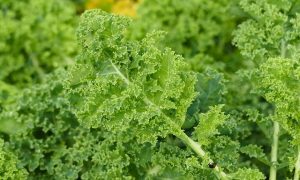 That’s because there are a lot of plants known as “ivy” – so if one person says ivy is safe for guinea pigs, while another says it’s highly toxic – they may very well be talking about completely different plant species. 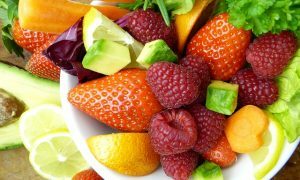 So it;s only when we know and use the scientific or Latin name of a plant, or at least the genus or plant family it’s in, that we can be confident about the specific plant and its potentially edible or poisonous properties. But we don’t need to get too technical here. If someone is wondering whether a guinea pig should or can eat any ivy plant – any type of ivy – the answer is likely to be no because it’s simply too risky. Only about 7% of all the bamboo species are known to be edible. 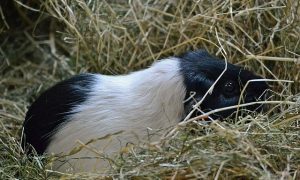 And we know that panda bears live exclusively on bamboo – that’s wonderful: but what about our guinea pigs? Can guinea pigs safely eat bamboo and if so, does it have any benefits? Well, one thing to know is that when humans talk about eating bamboo they’re talking about having it COOKED. Because many bamboo, like some other plants, are known to contain cyanogenic glycosides which then turns into toxic hydrogen cyanide when the raw plant is chewed. Cyanide is a very dangerous poison, being both fast acting and potent. So what does this mean for guinea pigs? Mostly that we need to know the type of bamboo before allowing our pets near it. Because guinea pigs can indeed eat safe types of bamboo shoots, as well as the leaves on the plant. Bamboo generally has an acidic, bitter taste which might not be to every guinea pig’s liking. When we talk about edible bamboo, we’re talking about the shoots of the plant. Bamboo provides an excellent chewing opportunity for guinea pigs, so it’s not only thought of as a food but also as enrichment and dental health aid! Do you have some beautiful rose bushes and wonder if your guinea pigs can munch on some of the flower petals? Technically the petals of rose flowers are safe for munching on, however they’re considered an enrichment rather than having any value to the diet. If an outdoor guinea pig run or enclosure has a few fallen rose petals in it and your guinea pig happens to come upon them – there’s no need to panic. This isn’t a toxic plant. 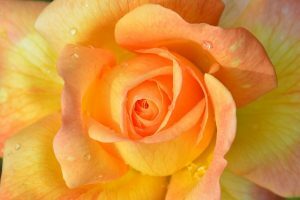 Of course: if a rose bush has been sprayed with chemicals of any type, such as an insecticide, they should be kept right away from guinea pigs. Rose bushes themselves, as anyone with a rose garden knows, are thorny. The branches have sharp thorns and you definitely don’t want guinea pigs foraging where they could scrape themselves and cause injury. Rose hips (the small fruit bud at the base of the flower) are also considered safe. Some guinea pigs will really take to them, but others will ignore them. Go figure! Besides fresh rose petals from a chemical-free tree, another option people try is buying bags of dried herbs which sometimes include flower petals from roses and other safe plants. Again, some guinea pigs will devour this while others will show little interest (an acquired taste, perhaps). 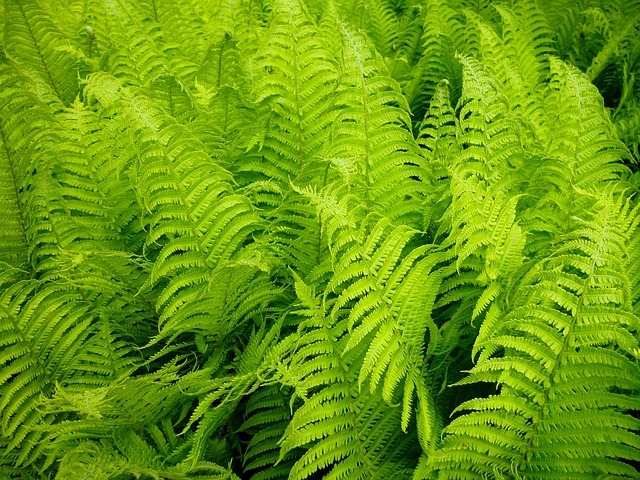 Ferns can grow almost anywhere, but particularly in damp and shady parts of yards and gardens. These primitive plants come in over 10,000 species! Many are used as garden plants and indoors plants, while others have become weeds. Are ferns toxic to guinea pigs though? And would they want to eat them? The safest answer is to not allow guinea pigs to eat any type of fern. 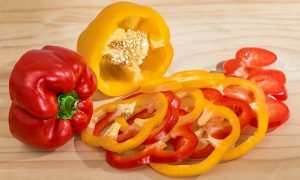 Little is known about most of them, but some are certainly known to be toxic to other animals like cats, dogs, horses and livestock. Some ferns are also proven to be toxic to humans. For example, bracken fern which is a common fern species, has been blamed as a cause of stomach cancer in Japan where people eat this plant. The toxin, in the form of a latex sap, is located in the leaves and stems. Ferns do not have flowers or seeds – instead their method of reproduction is via spores. Allowing guinea pigs anywhere near ferns of any type presents too much of a risk for potential toxic ingestion and poisoning. It’s best and safest to keep guinea pigs right away from any fern. We know that koalas live on eucalyptus leaves. But that’s because they’ve evolved to do it! 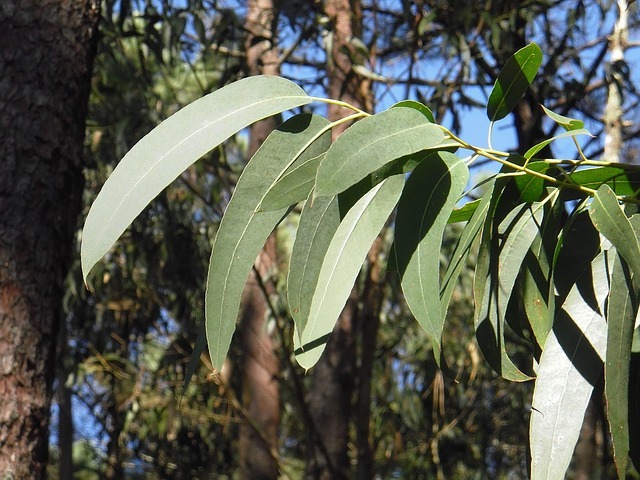 Eucalyptus leaves are very low in nutrition and not palatable to the vast majority of animals. They’re also toxic to most other animals. Even humans should not eat leaves from eucalyptus or gum trees (not that many people would be silly enough to want to try). Eucalyptus leaves and eucalyptus oil should not be provided to guinea pigs.